On September 27, hundreds of Washoe County School District middle- and high school students will pour into the Reno-Sparks Convention Center to spend part of their day exploring careers in the building and construction trades. The event, the third annual Construction Career Day, is hosted by the Nevada Builders Alliance and supported by the Building and Construction Trades Council of Northern Nevada, the Northern Nevada Apprenticeship Coordinator's Association, the Washoe County School District's Signatures and Career and Technical Education program, and the Associated General Contractors of Nevada. The idea: to give local students exposure to an interactive, hands-on experience with the changing, and rapidly-growing, field of construction. 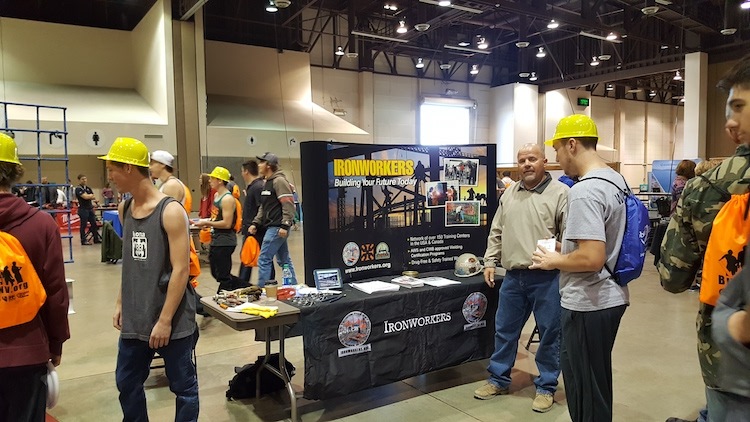 While good old-fashioned construction work is alive and well in Northern Nevada, and on display at Construction Career Day, it's not all hard hats and tool belts. Careers in construction are becoming increasingly high-tech, and these lucky students get the chance to immerse themselves in real-world building scenarios via virtual reality headsets, where they can experience what it's like to actually work a job site. 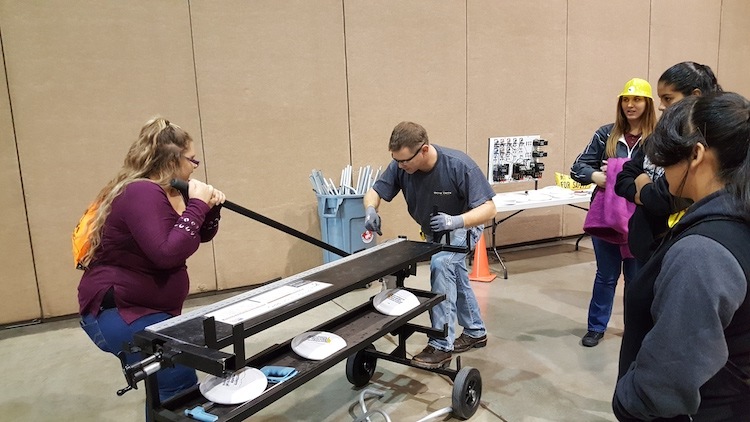 Last year, the welding experience was popular—particularly with young women. "The girls really loved the interactive welding exhibit," said Dian VanderWell of the Northern Nevada Apprenticeship Coordinator's Association. "And they're really good at it. Even the guys agreed, women just seem to be naturally better at welding." Students who find their interest piqued by the exhibits and interactions will have the opportunity to get more information on the vast career options in the industry and how to prepare for them, including applying for well-paid apprenticeship programs right out of high school. 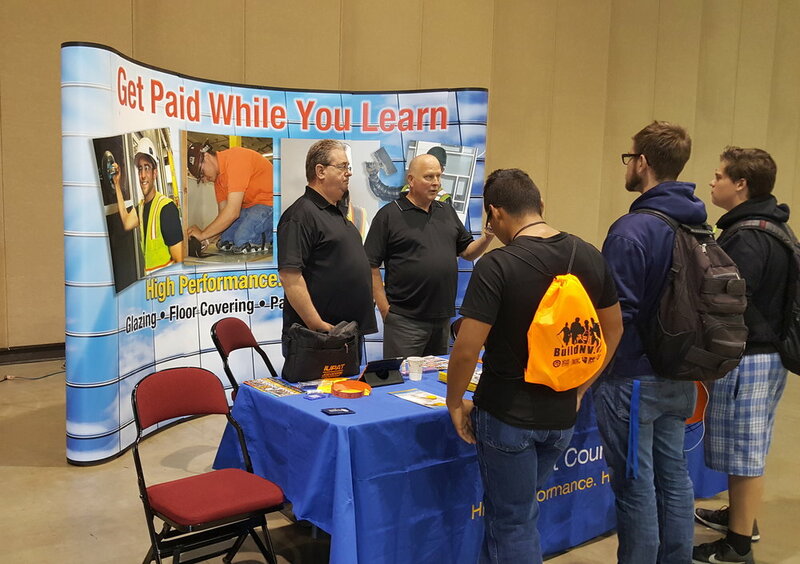 "Most parents and even some teachers aren't aware that these are high-paid, high-tech, high-demand careers with great advancement paths," said Rob Benner, business representative for the Building and Construction Trades Council of Northern Nevada. "In our plumbing program, as an example, all of our graduating apprentices leave with advanced mechanical and electronic skills, making over $40/hour with full health benefits. There aren't many college graduates earning that even several years after graduation. Even more important, those good wages aren't being undercut by student debt." In fact, building and construction apprenticeships are one of the few career fields closing the wage gap for women and minorities. Everyone starts an apprenticeship program at the same wage, and wages advance equally throughout the program. After graduation, career options range from instructor to foreman/supervisor to small business owner to developer, even urban planner or civic legislator. Most apprentices graduate from the program with college credits from TMCC, and some with a full associate’s degree. Interested students should contact their teachers or CTE school administrators. Check out the Construction Career Day videos from last year and 2016!